I’m a super big fan of artifacts, in all possible formats. I even have a mono brown EDH deck, built before wastes were printed so the mana base is a bit crazy. That’s why I’ve always wanted to build a mono brown deck in 93/94 so I wanted to share my initial thoughts about this and why I actually haven’t done this yet. But first I would like to say that what I write here will only be true if you play by the Swedish B&R. The reason for this is that there is a really big difference between the Eternal Central rules and the Swedish ones when it comes to mono brown and that is that the EC rules permit four Workshops. This will be written with the premise that only one Mishra’s Workshop is allowed. 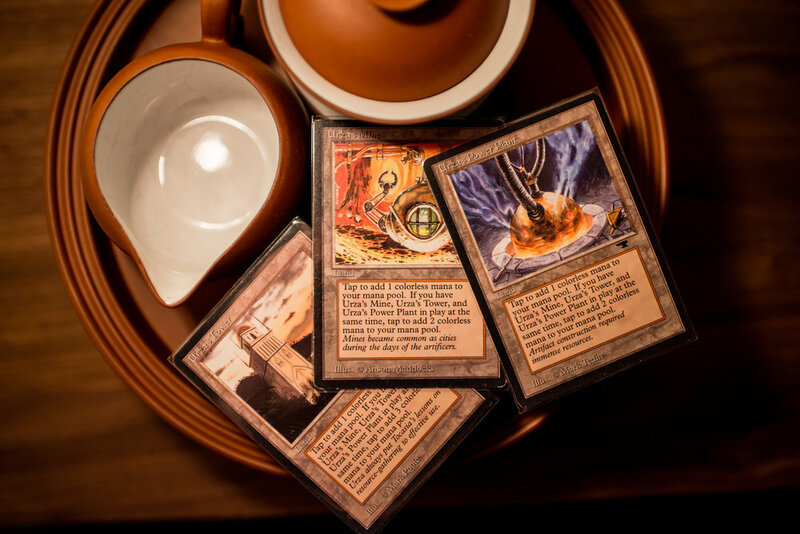 The first thing that comes to my mind when thinking mono brown in 93/94 are the Urza lands so that is where I will start my build. The premise from now on is therefore that I want to play Tron in 93/94. With that said, let’s start by looking at the deck’s mana base. 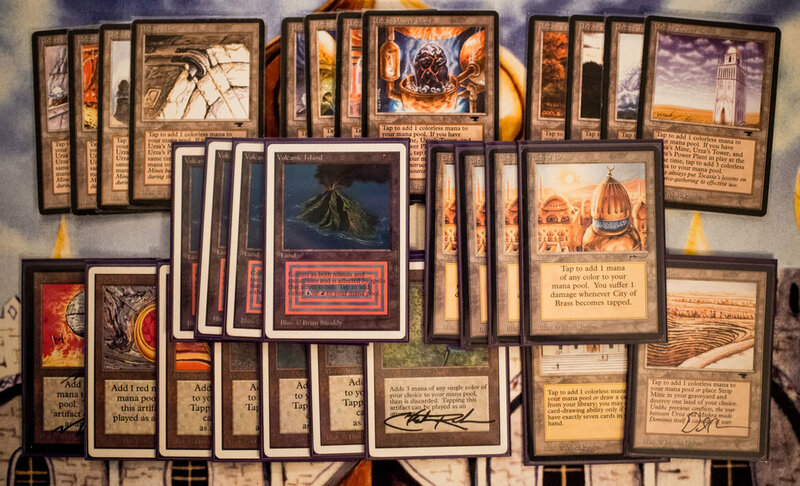 After we start with the 12 Urza lands other lands we should add to our deck is of course 4 Mishra’s Factory, 1 Mishra’s Workshop, 1 Strip Mine and 1 Library of Alexandria. No deck should be without them, at least if you don’t need colored mana. And then we have the seven restricted artifact sources, 5 moxen, Black Lotus and Sol Ring. This brings us to a total of 26 mana sources which is a good starting point for any deck. If the deck has a low mana curve we could go down to 24 - 25 sources and if it’s a control deck or a deck with a really high curve we should probably go up to 28 or maybe even 29 sources. As we just added all the essential mana sources and got 26 sources we’re clearly not going to try to build a deck with a low curve because there is no mana source we can cut. Also, the Urza lands can sometimes give us us an amazing amount of mana so we absolutely don’t want to be a low curve deck because then there is no point of playing the Urza lands. That instead leaves us with 3 slots left for the mana base and I would say either 3 Fellwar Stones or 3 Mana Vaults seems good here depending on how we build the deck. We could also add three colored sources which with a mox and lotus would give us a total of 5 sources of that color, probably not enough for even a slight splash. This is where the trouble begin. The whole idea with playing the Urza lands is that we can get a lot of mana. Therefore, we should play expensive spells to utilize that fact. The problem however is that the Urza lands are unreliable and we probably will play more games that not without being able to assemble the three different pieces. So if we play too expensive spells we won't be able to cast them in many of our games. That doesn’t seem that good, so what should we do about that? I only see three possible solutions for this problem so let’s have a look at them. The first idea I had was to take the easy way out and not play super expensive cards. Maybe instead top the curve with a couple of Triskelions (which still is pretty expensive) and otherwise focus on Su-Chi, Icy Manipulator and things like that. The problem with this solution is that if we’re not going to go all in on expensive spells and instead play Su-Chi and Triskelion, why are we even playing the Urza lands? We could instead just play Artifact Aggro with Mana Vaults as acceleration and also then be able to play colored spells. Once again the Urza lands and therefore the deck loses it’s purpose. Ok, after having looked at this I’m not convinced this will work. Playing to many of these cards will make the deck too clunky if we once again don’t have all three Urza lands on the battlefield. The third solution is where I am right now but it instead gives us another problem. I think the solution is to play spells with variable mana cost, X-spells. Spells like Fireball and Braingeyser are good even without assembling tron and if we do they are amazing! This is why we started to look at the mana base because if you remember we could only fit 5 sources of colored mana. So this will give us a deck the is unreliable when it both comes to assemble the Urza lands and actually getting the colored sources we need. So how do we solve this? This is where I’m at now and I will give you an update at a later date on how the brewing has gone. But the first thoughts are to cut Mishra’s Factory (which could be considered a sin) or go up in mana sources to 31 or so. Neither seems good but we’ll see.